Hibernian FC is delighted to announce that Laura Montgomery has been appointed as Head of Sales and Sponsorship. The role sees Laura take on responsibility for revenue generation through sponsorships, hospitality, and other commercial activity. 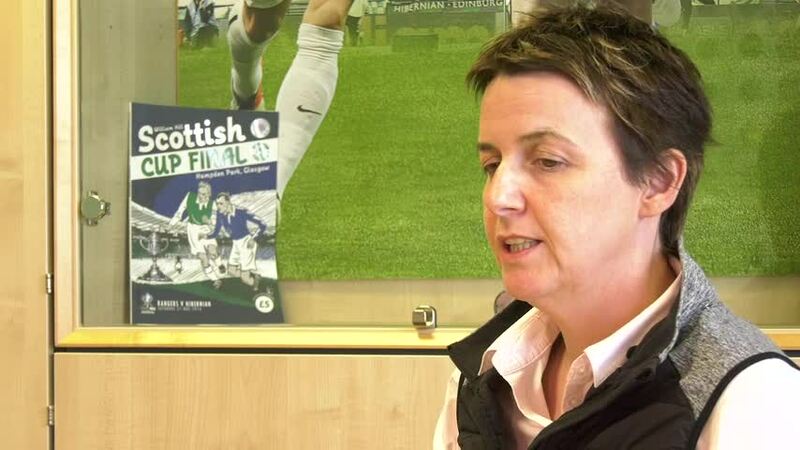 She will take over from Greig Mailer, who is leaving the Club to take up a position with the Scottish FA. Chief Executive Leeann Dempster said: “Laura has a strong commercial and sales background, and will bring energy and focus to the challenge. She also has a long connection with football, and for the past year has been working with the Club managing the GameChanger Public Social Partnership on behalf of Hibernian, the Hibernian Community Foundation and NHS Lothian. In addition, Colin Millar is to take on a larger role as Communications Manager, picking up more of the marketing and communications responsibilities.